HiOrange Technology Co., Ltd., is a creative enterprise, mainly producing R & D smart electronics and luggage products. The company has excellent industrial design and creativity talents. With high-tech software and hardware technology，producing high quality products. The company's aim is to provide consumers with high quality life, to create micro-intelligent life products, and guide consumers to intelligent life. 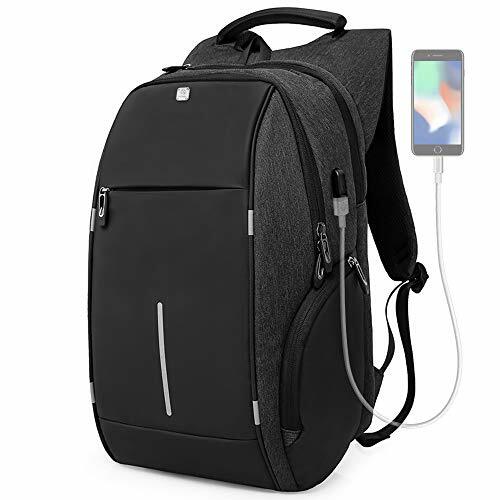 High-capacity and Multiple Pockets of the Backpack - Laptop backpack has 12 bags totally, the main layer can put 15.6 inch laptop, 9.7 inch iPad, as well as 15 inch,14 inch and 13 inch Macbook/laptop. ; Huge capacity layer can be placed books, documents and large items. The small pockets of front and side can be placed in small and medium-sized items, such as notepad, pen, bank cards and so on. Top pouch to place the key, U disk and others. Go Where You Go - Night light reflective strip design, you can ride at night without worrying about the vehicle behind. You can carry it in working, travel, school, business conference etc., because it has huge space, stylish look and Convenient function. Customer satisfaction is our primary aim.If you have any problems,please contact us before you leave the review,we would try our best to solve your problems.